Since Napoleon invaded Egypt with an army of soldiers, scholars and engineers in 1798, images of Egyptian landscapes and monuments have circulated as fantasy and reality in the West. Soon after the Western encounter with Egypt, physical parts of the same landscape were brought to London, Paris, Turin, Berlin, and New York. Scientific exploration, artistic imagination, colonial geopolitics and daunting engineering invented and fragmented Egypt for modern sensibilities. 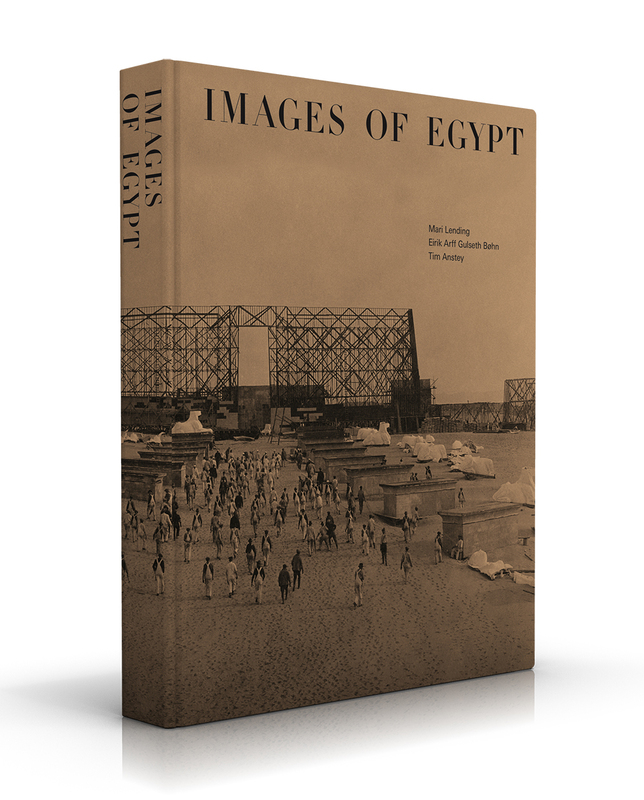 Images of Egypt presents an entirely new approach to the reception and adaption of ancient Egyptian history in the Western world, portraying an ancient landscape in radical transformation. Through presenting key moments from a flow of images across media, this lavish book collectssupersized engravings, panoramas, porcelain, opera designs, paintings, photography and postcards, furniture and fashion, filmsets, exhibitions and contemporary facsimiles. Exhaustively illustrated by rare material from European and American archives, the book showcases monuments on the move, the meandering travels of explorers and tourists, and a remote antiquity about to manifest itself in the Western imagination. Ground-breaking scholarship in the guise of an alluring coffee table book, Images of Egypt includes thought-provoking and pioneering contributions by world-leading art and architectural historians and students from the Oslo School of Architecture and Design: Lucia Allais, Kosha Ahmadi, Tim Anstey, Maude Bass-Krueger, Craig Buckley, Eirik Arff Gulseth Bøhn, Caroline van Eck, Adrian Forty, Mikala Kjær, Beata Labuhn, Mari Lending, Adam Lowe, Ingemar Eirik Nesheim, Eeva-Liisa Pelkonen, Eirik Stokke, Robert Sømod, Martin Tosterud, Victor Plahte Tschudi, Olivia Horsfall Turner, Even Smith Wergeland, Richard Wittman, Xianwen Zheng. Originally posted Sep 16, 2018. Latest revision Oct 14, 2018.